This beautiful five light chandelier features a classic design with metalwork finished in brushed nickel and beautiful white glass shades. Swooped sconce arms and white frosted glass bell shades. Indoor light fixture includes hardware, installation instructions, and 6 foot chain for hanging adjustments. Fixture attaches to matching decorative ceiling plate and is suitable for vaulted ceilings. 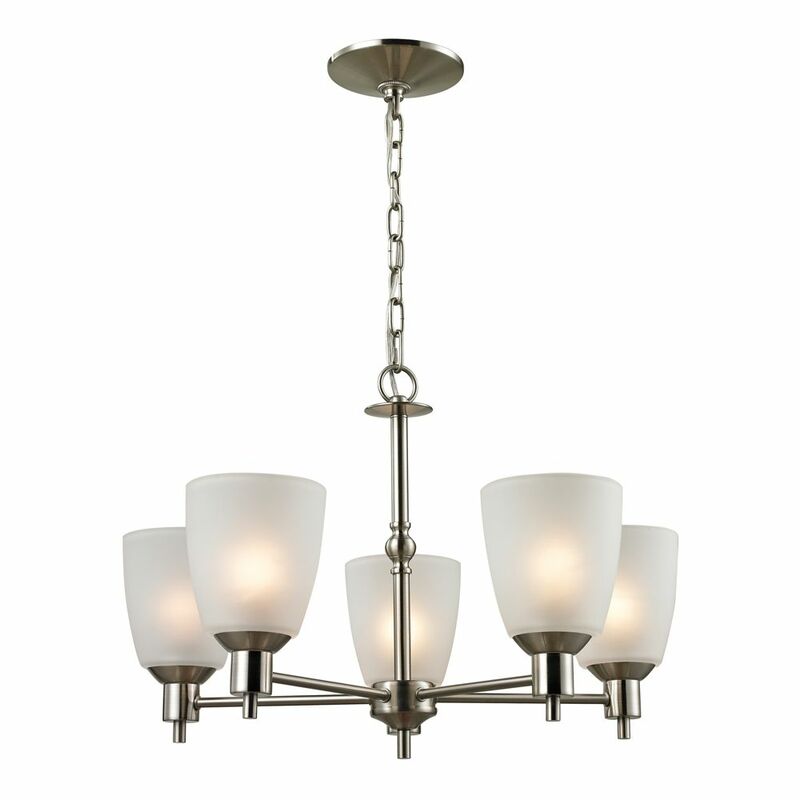 5 Light Chandelier In Brushed Nickel With Led Option This beautiful five light chandelier features a classic design with metalwork finished in brushed nickel and beautiful white glass shades.